From here, pressing the Main Menu button will take you directly back to the main menu, no questions asked, and all your progress in the round you were on has been lost. At least it’s consistent, because Restart Course does the same thing. Okay, so the game doesn’t offer a confirmation before going back to the main menu, how big of a deal is it? 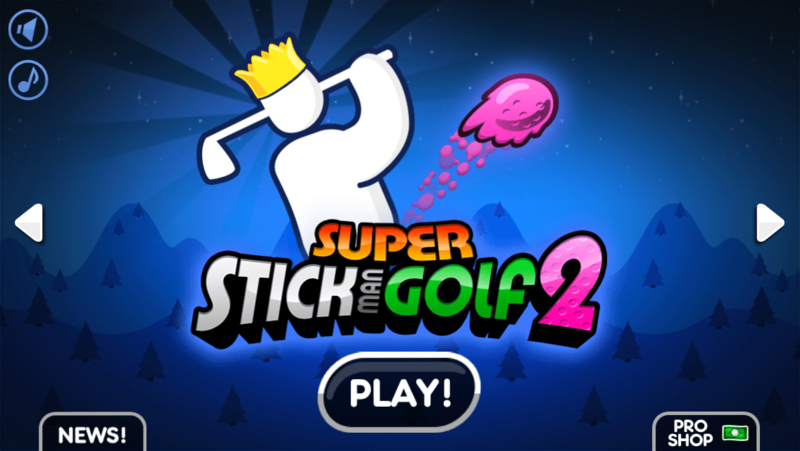 Unlike a game of Madden that takes 45 minutes to play, getting through 9 holes in Super Stickman Golf takes 5 minutes or so. This is probably why you have to confirm quitting a game of Madden twice, even after the game is over (note: my copy of Madden 12 for the Xbox fails to work, so I can’t 100% confirm this, but this is what I remember). Despite this, anytime I lose progress in a game, it makes me unhappy. Even if it was just three holes that I could redo in two minutes. This situation is easily avoidable. Ideally, a user would be able to go back to the main menu and pick up where they left off. This does definitely make things more complicated though, because the concept of “saving” gets messy in a hurry. Do you start to have multiple save slots? Can you start playing multiple different courses? What about syncing saves between devices? An easier solution though is a simple confirmation dialog. “Hey if you go back to the main menu, your progress will be lost”. This doesn’t cover all situations, but I’d guess it’s what most players would expect, and it adds one more layer of security. 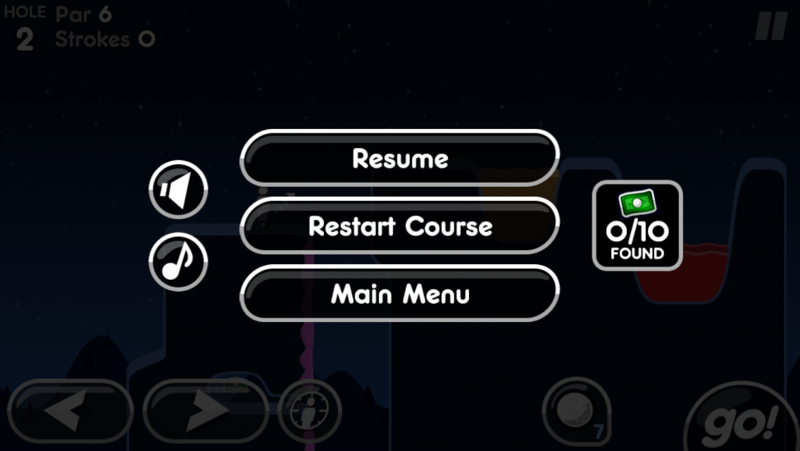 Despite my issue above with losing progress in the middle of a round, Super Stickman Golf 2 does offer a great feature that helps users keep their progress across iOS devices: iCloud sync. This is becoming more common in games these days and I am really excited about it. As an owner of both an iPad and an iPhone, I appreciate games that let me take my game from my iPhone to my iPad and back again. For whatever reason, iCloud saves don’t always work well (see the Civilization Revolution article), but it’s a great thing when they do. Take great pains to make sure your game doesn’t let players lose their progress. Sometimes it’s unavoidable – if the phone reboots mid-game, what can you really do? But for situations that are expected, always make sure users know the results of their actions. If you want players to get back to the main menu without a confirmation prompt, then build in a function to resume where they left off. What other games can you think of that make it easy to lose progress? Let’s discuss in the comments below! This entry was posted in Mobile, Sports and tagged android, casual games, game experience, game usability, ios, iPad, iphone, sports games, ui, user experience, ux by mark d. Bookmark the permalink. I find that this is basically a problem on almost every game that has automatic saves: when you expect the save to happen rarely matches when the game actually does.